‘The way life should be … for both people and pets,’ should be the new Maine state slogan after Maine was named the number one most pet friendly state in the U.S. last year by The SafeWise Report, which specializes in safety and home security. 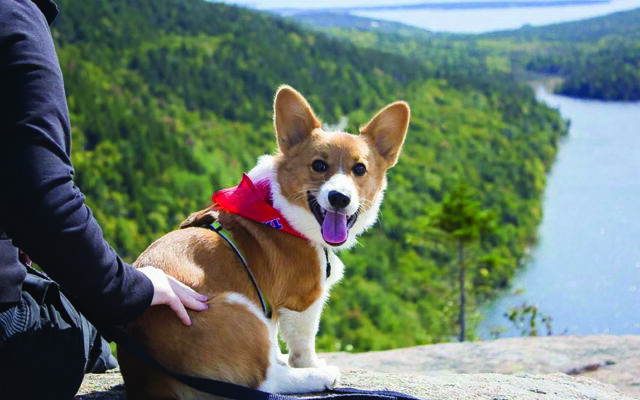 In Maine, the report counted 76 dog-friendly beaches, hiking trails and parks throughout the state and nearly 1,000 pet friendly hotels, which topped both Virginia and Arizona. Those two states placed second and third, respectively, on the list of the most pet friendly states in The SafeWise Report. Data from the Bureau of Labor, the Animal Legal Defense Fund and online pet resources like BringFido.com was used to create the list of the most pet friendly states. Special attention was paid to which states had the strictest anti-cruelty laws, highest percentage of no kill shelters, and largest number of pet friendly hotels and parks. Pet owners should be aware that dogs are not allowed on some Maine beaches all year round. From April 1 to September 30, pets are prohibited on certain beaches in order to protect the federally endangered piping plovers. Best said the Maine Bureau of Parks and Land is working closely with the Maine Audubon and Maine Inland Fisheries and Wildlife to protect the birds’ habitat in an effort to help its population grow. During those months, dog owners should plan to visit one of Maine’s other pet friendly sites.